There have been much discussions on when Huawei will released the MediaPad M5 Lite after the company debuts the standard and the Pro models of the tablet at the last year MWC event in Berlin. Today, Huawei has finally unwrapped the tablet in China. 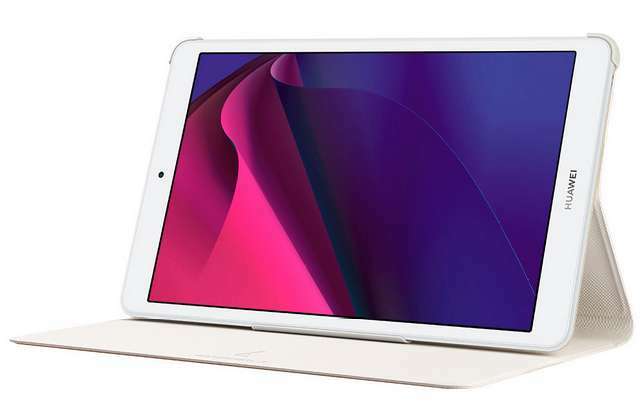 The MediaPad M5 Lite 8" as its naming implies, features an 8-inch WUXGA+ display with a 16:10 aspect ratio, and is powered by a Kirin 710 octa-core chipset, coupled with 3GB of RAM and 32GB storage. There is also a 4GB/64GB version incase you desire more. The storage is expandable up to 512GB via MicroSD card. Moving on, the tablet sports a 13MP rear camera and an 8MP front camera for selfie. It boots Android Pie based EMUI 9.0 out-of-the-box, packed dual speaker that is Harman Kardon audio certified, and is backed by a 5100mAh battery. The MediaPad M5 Lite comes in WiFi-only and LTE variant. It will be available starting today.